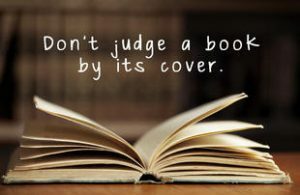 The saying tells not to judge the book by its cover. However, today it is difficult to imagine a platonically pure way of perceiving individuals of the surrounding staging, where moral would be strictly detached from visual and values and attitudes would be formed while avoiding premature judging. Indeed, in day-to-day situations human interaction tends to be built in a way of certain data exchange, which will include of not only verbal messages, but also visual appearances, behavior, habits etc. Among these kinds of attributes, there is one that becomes controversial even on the stage of classification, these are body modifications, and particularly tattoos. If, for example, we can easily define facial features as natural and difficult to change attribute, and clothes as acquired and that can be easily changed, tattoos hovers somewhere in the middle. Being an acquired thing and in the same time quite durable, a tattoo is starting to pose questions with its only existence, what serves as a reason for people who are getting tattoos? Is this body modification a direct instruction of fashion, or rather a personalized ritual of initiation? Is it a communicational channel or a status sign-system? Of course, the answer could lie in the combination of functions listed above and many others as well, however main ambiguity of the phenomenon can be derived here – the indirect nature of its communicational function that still serves as an important characteristic and attribute of the individual as perceived by others on one hand, and personalized nature of tattoos as a sign that has a deeply intimate value on another. One might object, that with the tattoo industry we have today it becomes truly difficult to speak about intimate value and sacredness of a tattoo. Indeed, as in any other form of art, in tattoing there can be observed trends and fashions, style changes and rise-and-falls of certain motives‘ popularity. At more instrumental level there can be seen a lush plentitude of techniques, which in turn result in different approaches and attitudes toward tattoing. With all this plethora and diverseness of meanings, these days tattoo culture becomes a subculture that consists of subcultures, a Pandora‘s box into which this paper is aimed to deepen in, digging down to the prehistoric marks that existed centuries ago and looping back to the style that at the first blush has more in common with tattoo of the ancients – homemade tattoo. cultural background and attitudes, totems and taboos, defining features and excluded practices. Logically continuing the set of questions, the core one will be set as well – what meanings do homemade tattoos bear and how do these meanings differ from ones of parlour-made tattoos? This thesis begins with a historical research which will provide a sufficient perspective on the meanings and functions of tattoing in different cultures, paths of its development and succession patterns. The second part will deal with homemade tattoing from the point of view of both artists and tattoo culture consumers, with their definitions of homemade tattoing and attitudes towards it. For this purpose the data from social media networks, where main discrources around homemade tattooing are located, is considered.